I had a response from Gavin Mannion where he stated, “I hope you know that I don't care what you think the law is, sources are private so deal with it.” in response to my statement “ "I hope that he knows that since his blog is not a registered newspaper that he cannot provide any protection to his sources." I can now see why Webster asked him to get legal advice. Sources for a blog are never private. I cannot believe that one man thinks that he is now above the law. In fact, Mannion seems to make all sorts of accusations in his blog. If they were true, why does he not list the sources and why does he not take action. His statement shows that even though he does not much like me, and he mentions me as the problem, yet he WANTS me to take over as it will give him articles. Is this not corrupt behaviour? Is it not corrupt to make a living off what you see as wrong? I think that it may well be. Mannion too states that the system is corrupt. Oh, I get it, he would prefer to be seen as the 'community's voice' where he sees and knows all... Surely if he was concerned, he would be advocating people to stand for the positions offered to right the wrongs, not hoping to see it fail. In my opinion Mannion does not truly have any gamer's interests at heart. Round 5, really, who knew? So Mr Mannion, you seem to think that you have picked a fight with the MSSA. Certainly your one headline titled “Quick MSSA Update–Round 5” seems to imply that you are in a fight. I wonder if anyone has bothered to tell the MSSA? The reason I say this is because no matter how hard I have searched the internet, I have not found any scathing or vindictive response by the MSSA. I too looked at what Mr Mannion calls 'legal action'. Well I hate to disappoint, but it does not even state the intention to start any litigation. I see that Mr Mannon also claims to have a whole lot of information. I hope that he knows that since his blog is not a registered newspaper that he cannot provide any protection to his sources. But, this is why I have advocated for years that Colin Webster should no longer be President of the MSSA. For years he has pursued a concilliatory approach to people who have opposed the very existence of the MSSA for their own ulterior motives. Webster has openly stated that he would not use the law to enforce the MSSA's rights as being the sole authority in charge of eSports in South Africa. He has openly stated that he would continue to work to get all gamers to see the 'strength' and 'purpose' of the MSSA and get them to cross the 'divide'. For all of Webster's efforts, those who were entrenched in their beliefs still are. Nothing is going to change those who can not, will not, and dare not, change. That is why I, for one is ecstatic that this is the last year of Webster's presidency. It allows the way for the committee to become more representative. This in turn will unlock more finances from government. A truly representative association will also mean that the MSSA will become more aggressive in terms of pushing a number of development programmes as well as allow the MSSA to build up a war-chest to deal with those who do not see the political realities. There also need to be several changes to the committee. The current rules that stop any one member from dominating the committee has to go. Webster has continually fought to make sure that the committee did not form cliques, but it is only through cliques that you can have effective management. That is why I will become a candidate in December. There will be real change in December, and I will be there! "On Thursday, 12 September 2013 the MSSA officially handed Protea Colours over to Nathan 'StatiC' Anderson at the Old Edwardian Society in Lower Houghton. The sponsorship received from MWEB was fully explained to all present. It was noted that if it were not for the sponsorship from MWEB, that Nathan would not have been able to attend DreamHack Bucharest. It was then explained that with the accreditation of eSports as a full sport in South Africa, the Protea Colours Board is able to award Protea Colours to gamers. This is the same Protea Colours that are awarded by the Board to South Africa's other sporting stars for sports such as swimming, cricket, rugby etcetera. After the award ceremony, Nathan was whisked off to the airport where he boarded his flight to Romania. However Nathan 'StatiC' Anderson, who plays for Veneration eSports on a club level) found the championship to test his mettle. Among the finest players in the world, Nathan held his ground in some pretty intense games. 'Ret' (from the Netherlands) and 'Niroxs' (from Switzerland) proved to be too strong for Nathan and defeated him. However, Nathan fought back courageously to beat the Romanian player 'Shinersen'. Unfortunately the win was not enough, and Nathan was eliminated from the group stages. There is no doubt that Nathan learnt some very valuable lessons at DreamHack Bucharest which was played on the 14th and 15th of September 2013. The lessons learnt by Nathan at this event will no doubt put him in good stead for his forays into future competitions." Prize money in SA gaming is premature! A number of local organisations give prize money to local competitions. Most notably of these is the DGL. However, does this really help gaming? Let's unpack the issue shall we. First, the giving of prize money differs from the award of a medal or such as it ceases to be an award, but instead becomes a reward. In line with the professionalism of the recipients. If the reward is in excess of the categories mentioned above, then the reward ceases to be a reward, and instead becomes merely an 'entitlement'. And it certainly seems as though that the way in which prize money is awarded in South African eSports at the moment seems to be that. A very closed affair with the money going to those that 'deserve' it. And then there is the matter of development. How does prize money help development of the new gamers, of the elite gamers, and in getting new gamers into the competitive scene? Getting in new gamers: There is no doubt that large sums of money offered as prizes carry sensationalist headlines. But after the initial hype, it is all an empty promise in my opinion. The prize money may well attract the attention of the reader and the non committed gamer, but it does nothing to enable anybody to actually start gaming. In other words it is purs marketing.... all words and no substance. It does not take the average person more than a few nanoseconds to realise that the prize money is reserved for the few. Thus, the prize money offering is incapable of helping new clans to start, to maintain the sustainability of clans, or indeed, provide for the very basics that a growing sport needs. Development of new gamers: eSports is like a garden, in order to see real growth, the garden has to be tended, mulch and compost has to be dug in, and the weeds pulled. In other words, development of new gamers is year-long and requires continual attention. Gamers require coaching, training and events in order to improve. But before that, gamers need venues, equipment and support. Prize mney given top the few instead of having at least three times the amount spent on development is thus meaningless. The prize money given never gets distributed down the pyramid to deliver any real sustainability and growth to support the growth of eSports as a true sport. Development of elite gamers: Of course it is the elite gamers who are the ones in line for the prize money, but does it help them? Often the prize money offered by an organiser is split up among a number of titles and a number of positions, so, by the time the monies are actually given, the amounts are not enough to help elite gamers achieve their objectives of competing in international competition. In fact, at times, there is sometimes only enough for the team or gamers to cover their own costs to pay for their costs to get to and from the event. The amounts given, are also nearly nowhere the amounts required for any gamer to become a true professional. It is through being a true professional that gaming in South Africa will truly improve and become on par with gaming overseas. Instead of companies pouring monies into prize money, more good will be done if the companies take one step back and look at the needs of the gamers. By not paying prize money, companies could identify to gamers and put them on a payroll and turn them into top professionals. This is what gaming really needs. This is what South Africa needs! I see that the MSSA has been busy of late. 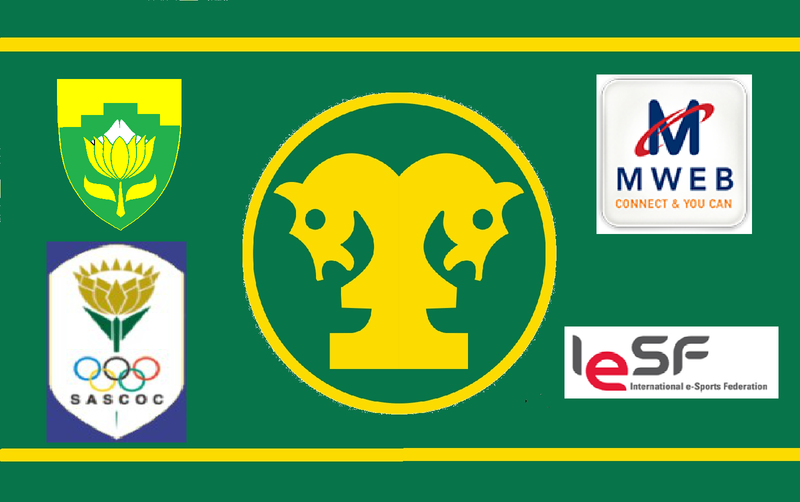 Obviously the sponsorship that the MSSA receives from MWEB is an important factor to their level of activity. It is interesting that the MWEB Protea Dota 2 team whitewashed the Mexican team on the 7th of September 2013. South Africa’s strength as opposed to the Mexicans was totally phenomenal. Of course there are the critics. They are not happy when South Africa loses, and they are not happy when South Africa wins. They are just never happy! So that is it.... according to Webster the MWEB Protea Dota 2 Team won fair and square. However, I have a bone to pick with the MSSA. I have not seen the results for the Online League of Legends Championships. But it was a busy weekend. 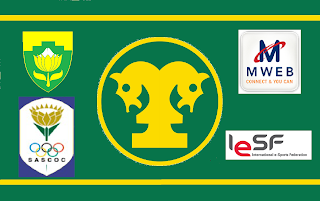 The same weekend saw the MSSA holding its 1st Nkangala Regional Championships in Mpumalanga for COD 4. The winners were, not surprisingly, D5g of the All Stars Club. Of course the highlight of the month for me was the fact that Veneration eSports gamer, Nathan 'StatiC' Anderson is selected to be the newest member of the MWEB Protea Team. And he is living the dream! Imagine to be sent across to play at DreamHack Bucharest. I would give my left b*** for that. And to get Protea Colours to boot. What an honour! Everyone here in Zola is rooting for you.